Boxing Day dawned a bit grey and dreary, but at least it wasn’t terribly cold or windy, so we headed to Mount Shark for a ski. It was surprisingly quiet as we set off, with very few other cars or people to be seen. 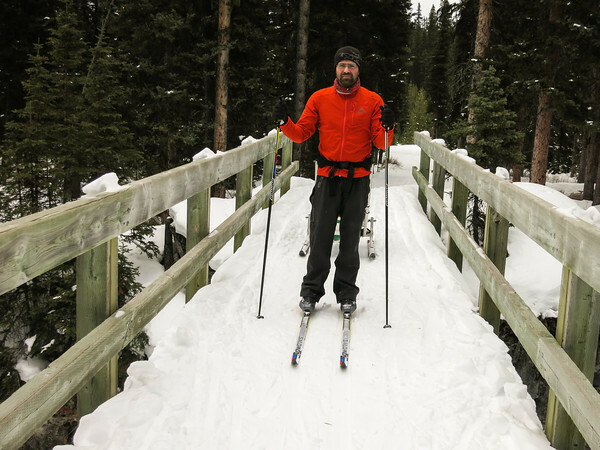 Somehow I ended up being talked into skiing out to the Spray River bridge, despite being on my skate skis, which were totally unsuited to the trail. I think this largely ended up happening as I had no idea what I was agreeing to. But it worked out to be a nice little 16km jaunt. As I wasn’t towing the Chariot, I was still feeling fresh though. So I convinced myself it would be a good idea to get Alex to drop me off at the Nordic Centre on the way back to Canmore so I could ski another 34km, thus bringing my total for the day up to 50km. The only pitfall to this idea was that I decided to ski a whole lot of the harder trails I’d never skied before, so it took quite a while, and without a headlamp I had some fun making my way home in the dark. Nevertheless, the mission was a success! 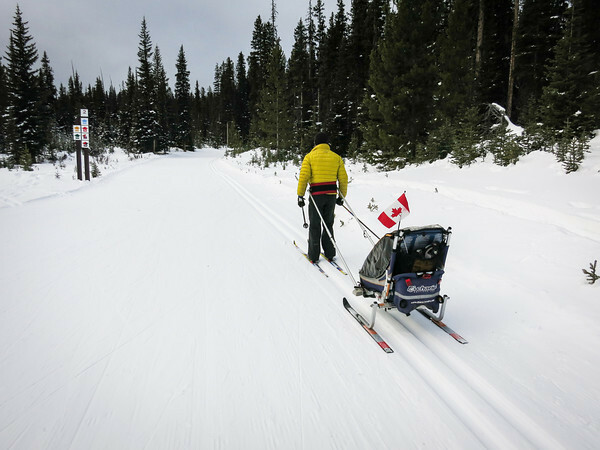 The crazy plan for January is to ski all of the Nordic Centre trails in a day. What could possibly go wrong?